Roll down the windows and blast the stereo! 8-track was designed to play back the popular music of the mid-60’s to the late 70’s. Using the same size of magnetic tape as reel-to-reels, 8-tracks produced high fidelity music that was portable for the first time ever. 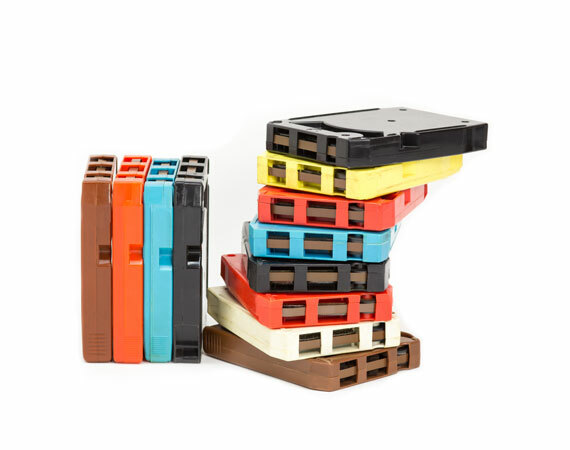 By simplifying reel-to-reels to a small tape cartridge, 8-track became popular because they were easy to listen to on the go. 8-track players were standard in cars of the era, and were the format of choice until the standard cassette was introduced. Due to the cartridge design, 8-tracks were prone to breakage. The tape material used was not meant to last longer than 20 years, and the separate tracks could easily get jammed and stop playback. Do you still have that box of old 8-tracks in the closet? Here at Los Angeles Video Transfer, we can convert all of your 8-track tapes to a custom-labeled CD or to a digital file. Whether you are looking to revisit all of your 8-track classics, or edit some old recordings, we can help you determine the right format.